Laugh if you will at the absurdity of a dock that can charge and store ten different devices, but if you stop and actually count how many things you need to plug in every night, it stops being so absurd. By now most households have at least a few smartphones, gaming devices, and a couple of tablets. 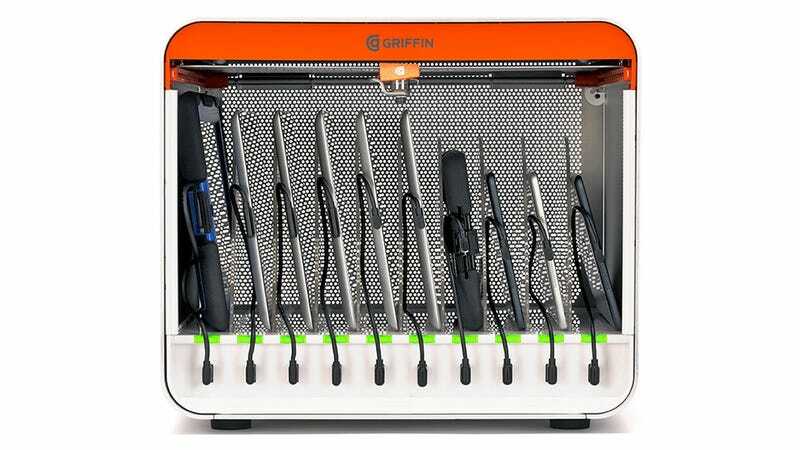 And with an influx of smartwatches poised to arrive, Griffin's new MultiDock seems like a reasonable accessory. For starters it keeps everyone's charging cables in one central location, so no one's tearing apart the house trying to find one when their phone is almost dead. And it only needs to take up a single outlet to charge all your gear—that alone could be worth the MultiDock's $700 price tag.